Sunday 20th November is ‘Stir-up Sunday’. 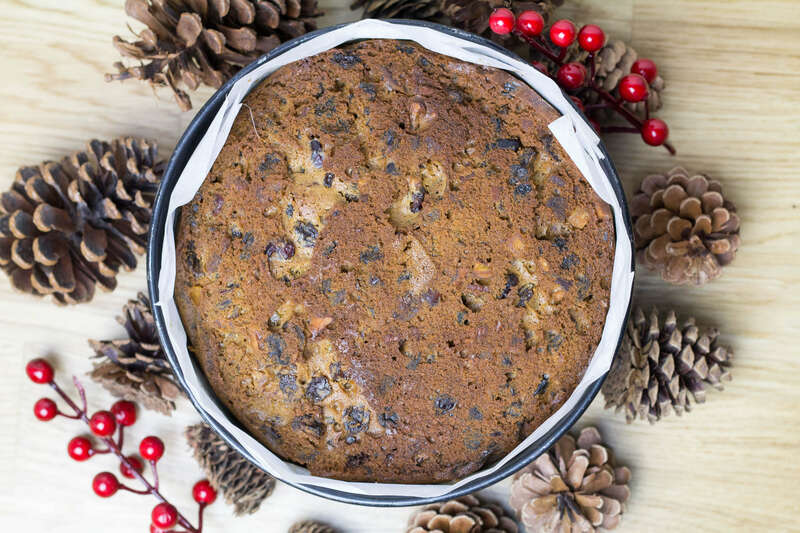 Traditionally the day to make your Christmas puddings and Christmas cakes. This tradition goes back to Victorian times where the family got together on the Sunday before Advent. It gets its name from the beginning of the collect for the day in the Book of Common Prayer, which begins with the words, “Stir up, O Lord, the wills of thy faithful people”. 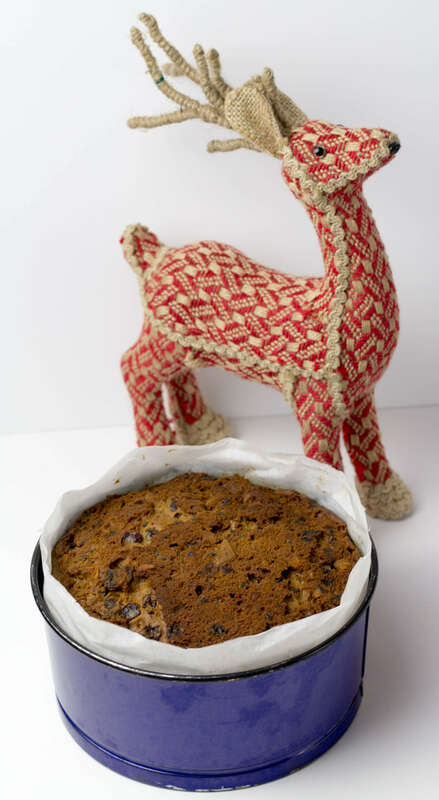 Whist I am not particularly religious, it is a great way to remember when to make your Christmas puddings and cakes. 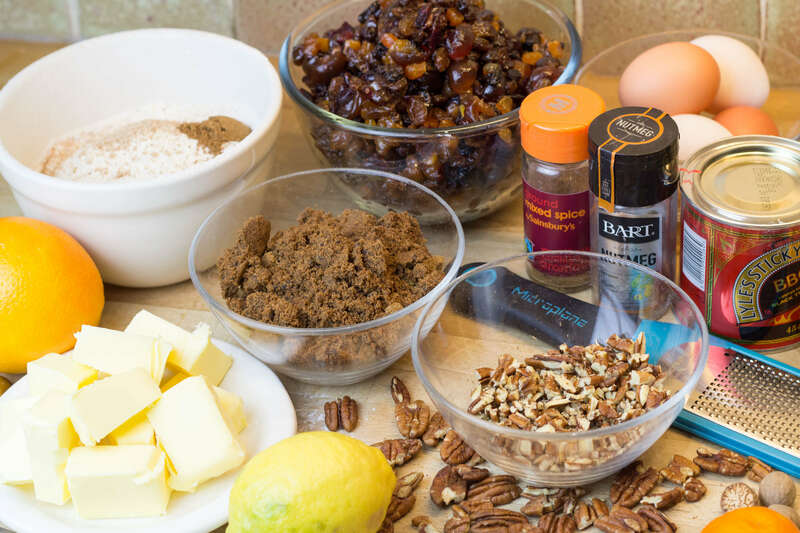 For my traditional Christmas cake, it allows for 5 weeks of weekly feeding the cake with a tablespoon or 2 of brandy every weekend to get that lovely boozy, warming, rich fruitcake for Christmas Day tea. Everyone in the family takes a turn to stir the cake mix and make a special wish for the year ahead. Last Christmas when I was in the supermarket stocking up on dried fruit, a retired lady and I were dancing around each other to get to the ingredients, both obviously getting ready for Stir up Sunday. We got talking and I found out she was a retired home economics teacher. She said she was impressed that firstly I was a man who could not only be bothered to actually make a Christmas cake from scratch, when I could just as easily have picked a ready made and iced one in the next aisle. Secondly she could see the passion I had for baking and the desire to share that and build memories and traditions with my two young sons in the same way my father and I did many years before. I think we both left the supermarket with even more Christmas cheer than when we entered. We were both in firm agreement that we wished more people would take the time to have fun in the kitchen and pass on skills and traditions that can be so quickly lost in the high speed world we live in. If you are not partial to alcohol, soak the fruit in orange juice instead of brandy and skip the feeding. I normally ice and decorate the cake with marzipan and fondant icing the weekend before Christmas. You will have to wait a little while before I can add the finished iced version. Soak the fruit at least overnight, preferably a few days. A few days before, put all of the dried fruit and nuts into a large ziploc bag or Tupperware box and pour over the brandy or orange juice. Give it a good stir each day. 1.Grease and line a 20cm cake tin with baking parchment. Then wrap and tie with string a double thickness of baking parchment on the outside of the tin. This will protect it through the long slow bake. 2.Combine the flour, salt and spices into a large bowl. Add sugar, eggs, softened butter and beat with a wooden spoon until light and fluffy. 3.Gently fold in the presoaked fruit, the grated zest of the orange and lemon and treacle. 4.Using a large spoon transfer the mixture to the lined tin, smooth out the top and cover the top with a double layer of parchment. Cut a small hole in the parchment to let out steam. 5.Place in the bottom shelf of the oven and bake for about 4 hours. Insert a skewer and make sure it comes out clean to ensure the cake is cooked through . It can take an extra 30 minutes. If it is not quite done, check every 15 mins until the skewer comes out clean. 6.Cool for 30 minutes in the tin. Then remove from the tin and cool on a wire rack. 7. 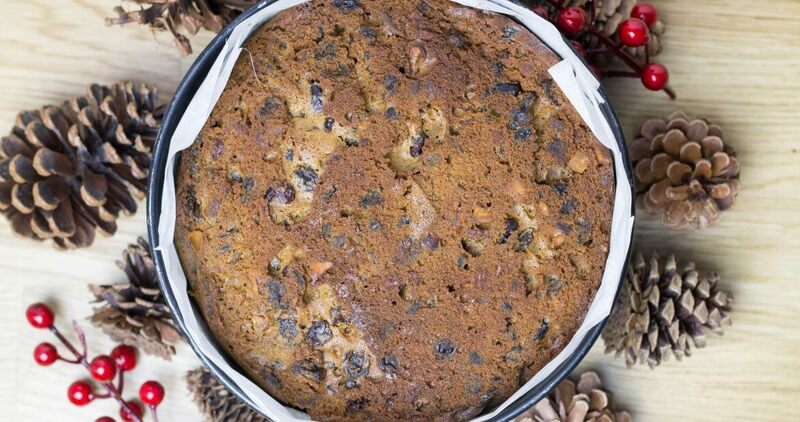 Once cool, poke holes in the top of the cake and feed (slowly drizzle) with a tablespoon of brandy. 8.Wrap in parchment and then in foil. Store in an airtight tin and feed with brandy weekly. 1. Warm the jam in a small saucepan to remove any lumps. Put the cake on a cake board or plate. Brush the jam over the top of the cake. 2. Dust the work surface with icing sugar and roll out the marzipan. Cut out a 20cm disc and place on top of the cake. 3. Repeat this step with the icing and then decorate using your own creative flair. 4. Store in an airtight container. Grease and line a 20cm cake tin with baking parchment. Then wrap and tie with string a double thickness of baking parchment on the outside of the tin. This will protect it through the long slow bake. Combine the flour, salt and spices into a large bowl. Add sugar, eggs, softened butter and beat with a wooden spoon until light and fluffy. Gently fold in the presoaked fruit, the grated zest of the orange and lemon and treacle. Using a large spoon transfer the mixture to the lined tin, smooth out the top and cover the top with a double layer of parchment. Cut a small hole in the parchment to let out steam. Place in the bottom shelf of the oven and bake for about 4 hours. Insert a skewer and make sure it comes out clean to ensure the cake is cooked through . It can take an extra 30 minutes. If it is not quite done, check every 15 mins until the skewer comes out clean. Cool for 30 minutes in the tin. Then remove from the tin and cool on a wire rack. Once cool, poke holes in the top of the cake and feed (slowly drizzle) with a tablespoon of brandy. Wrap in parchment and then in foil. Store in an airtight tin and feed with brandy weekly. Warm the jam in a small saucepan to remove any lumps. Put the cake on a cake board or plate. Brush the jam over the top of the cake. Dust the work surface with icing sugar and roll out the marzipan. Cut out a 20cm disc and place on top of the cake. 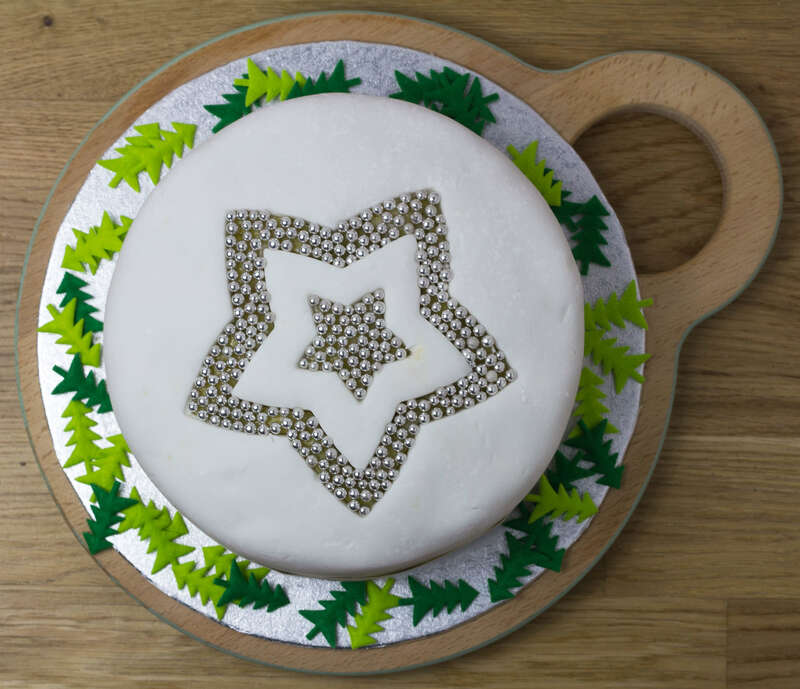 Repeat this step with the icing and then decorate using your own creative flair.